It’s official! I have now been to six continents; North America, South America, Europe, Asia, Africa and Australia. Two years ago I never thought this would be possible, yet here I stand in country #46, Brazil! I’ve been meaning to share this post with you for a while now, but unfortunately I couldn’t find the time to do so. Please bare with me as the next couple weeks are going to be busy too and I won’t be online as much as I usually am. That being said, here we go! We arrived at GRU (São Paulo-Guarulhos International Airport) in the evening and decided to go straight to the restaurant in our hotel for some food. As much as the crew wanted to try some traditional Brazilian eats outside of where we were staying, most of us didn’t have the energy to do so after a 15 hour flight. With the entire day ahead of us tomorrow, we turned in for the night shortly after. The following day nine of us met up in the morning to tour the city. 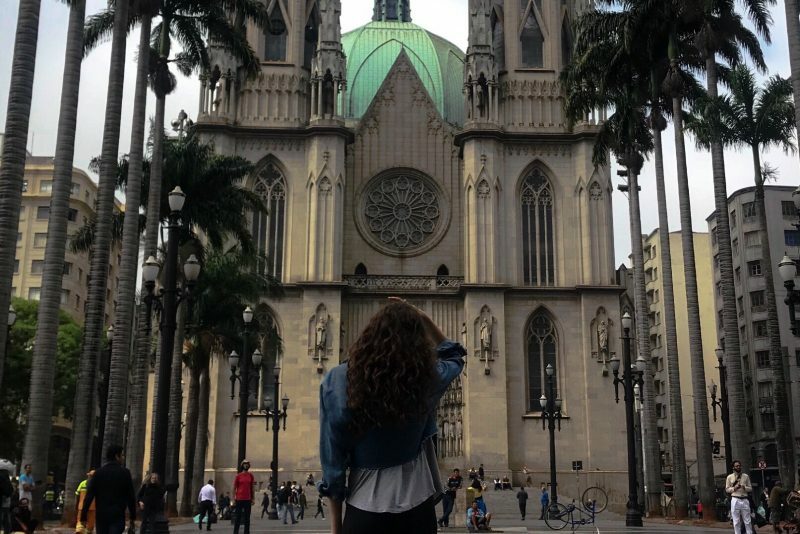 We started off at the São Paulo Cathedral and continued onwards from there to Ibirapuera Park. I love nature and being able to take in the greenery and fresh air there was one of the highlights of the entire layover for me! 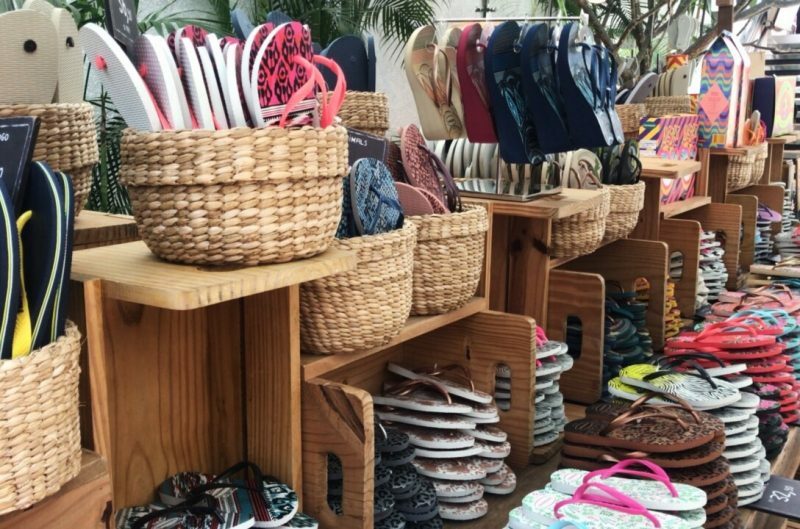 Of course, a trip to Brazil isn’t complete without a quick stop at Havianas. 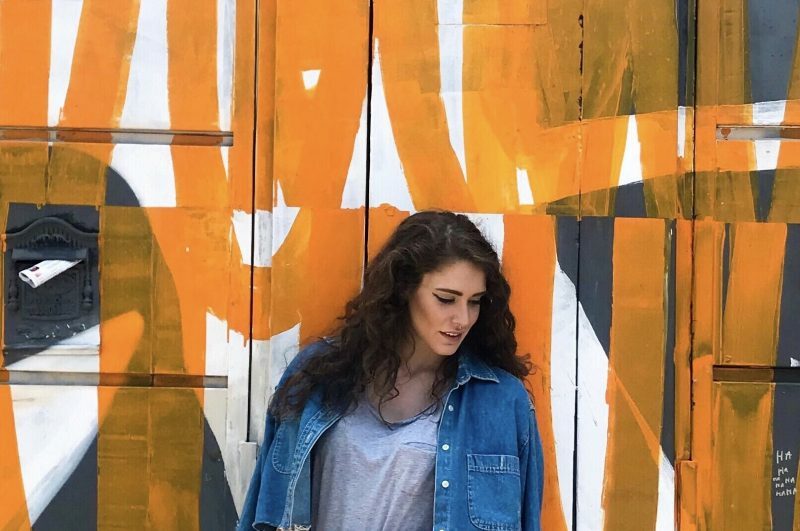 (It’s a typical “crew thing” to do, because they are a Brazilian brand and are expensive to purchase in Dubai). I ended up grabbing a black pair and adding a Brazilian flag to them as a souvenir. You can always use a pair of flip-flops right? Shortly after, my stomach began to growl so I decided to pop into a small restaurant next door for a quick bite to eat. The place was called Chez Astro. It was very laid back and resembled a library. They even had books for sale too. Our last stop on our tour was Beco do Batman where we finally got the perfect photos for the ‘gram! This area is where three alleys meet. It became a haven for street art after a single Batman appeared there in the 80s. Since then, new designs have popped up and old ones have disappeared as new artists from all over the world pass through. Before turning in for a quick nap prior to our evening departure, three of us decided to try Brazilian BBQ after the tour. We went to Churrascaria Boizao Grill and enjoyed a variety of local meats, salads and cheeses. Delicious! Just when I thought I exhausted myself out enough for a nap, I couldn’t sleep before the flight! Thankfully, the flight time was closer to 14 hours this time around and I managed to sleep on my break. Overall Brazil was a lot of fun and I hope to be back soon. Scheduling Gods, if you happen to read this, please send a Rio flight my way next! Want to try and go to as many F1 races and this is definitely my top 5 race tracks to visit. I follow you for some couple of months now, and I am glad that you have visit my city 🙂 and I am also happy that you liked it!! (short correction, it’s “Beco do Batman” instead of “Beco de Batman”). Hope that you catch the Rio de Janeiro flight next schedule! !